EPON Golf has collaborated with UST Mamiya to make a very special product offer. The brand new and ever popular AF-705 just recently introduced worldwide in May of this year will be available in a Limited Edition Blue color for the USA market only. Clubfitters have been raving how outrageous the ball speed and total distance is for this premium design, resulting in record setting club sales for the company. 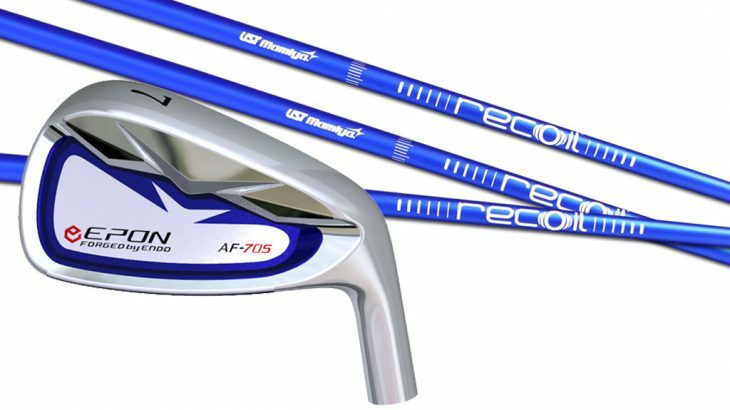 As part of the global product launch strategy, EPON has produced 50 Limited Edition Blue sets for the USA market and UST Mamiya has developed a Recoil iron model from its TSPX line up to complement the new head in both performance and color. Established as a subsidiary in 1977, EPON Golf Co. was formed and the EPON brand was introduced to showcase the manufacturing expertise of ENDO, the world’s premier forging house. Responsible for the production of golf’s leading OEM brands, EPON made it possible for custom club makers to fit golfers with the best forged products in the world.